Under contract with another website provider? Hands tied with another website provider? Understandable. If you gave your word and signed up for a multi-year contract, we completely understand. You gave your word. You must follow through. When your contract expires, let us know. Until you’re contractually free, you might want to sign up as a prospective new patient on our demonstration website. 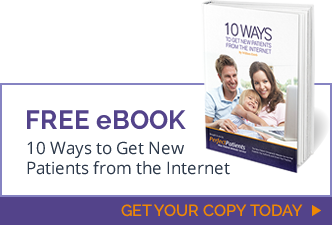 That way you’ll get the patient newsletters and get a feel for some of our patient-centered communications. When you get a couple of months out from completing your current obligation, let us know. We’ll come up with a fair way of creating your new site so it’s ready to go when you say the word.